​Your group name is what people can text to 760-624-3435 to join your marketing list. 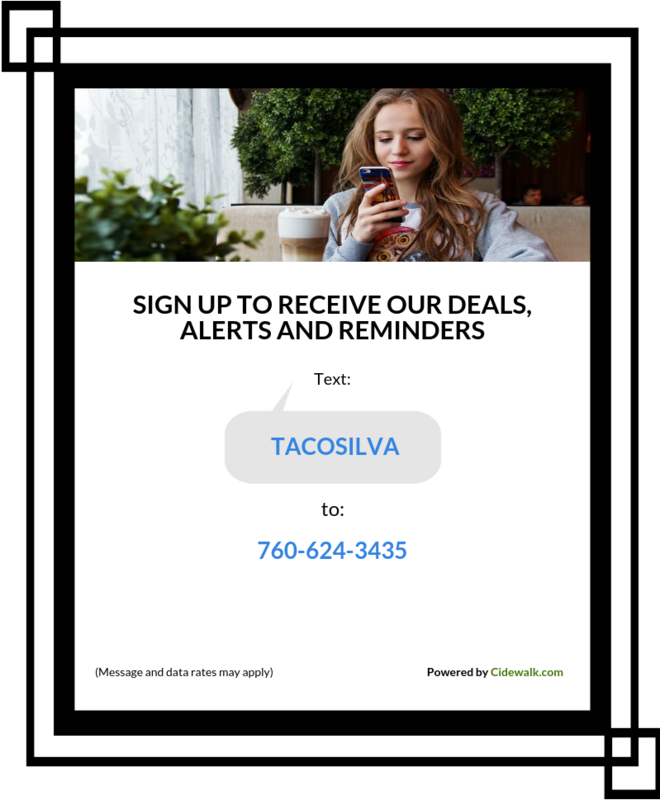 Text "GREETING YourGroupName Your custom welcome message"
Ask your customers to Text "YourGroupName" to 760-624-3435 to subscribe your list. You can create flyers, post info on your website, Facebook, or inform your customers when you meet. Tip: Offer an incentive to join your group. Or, use ADDTO command to manually add people to your reserved group. Text 'CLOSE' to 760-624-3435 to close your EZTalk account and cancel your service. - Send alerts ONLY once a week. If you send too often, your customers will unsubscribe. - Keep your messages short. Less than 8 words max. - Always add something useful in the message like a special discount or COUPON offer etc. - Mention your business name in the alerts so that users will know who sent the text alert.